About your facilitator: Rosetta Carrington Lue is a government customer experience management thought leader and innovative 311 pioneer. Rosetta was appointed a 2015 White House Presidential Executive Fellow and U.S. Department of Veterans Affairs Senior Executive Service (SES). She was responsible for leading the efforts to modernize and transform the VA enterprise contact centres to improve the Veterans' experience targeting 1,800 contact centres, employing over 9,300 contact centre personnel processing 140M annual calls from 9M Veterans. 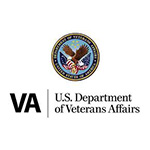 Ms. Lue has been a key player in turning around the VA's enterprise contact centres strategy to improve the experience of the Veterans and Employees. Simultaneously she oversaw the project team that developed a comprehensive plan to modernize the enterprise VA contact centres which, if fully implemented, would save VA over $2B over 5 years. Check out the incredible speaker line-up to see who will be joining Rosetta.